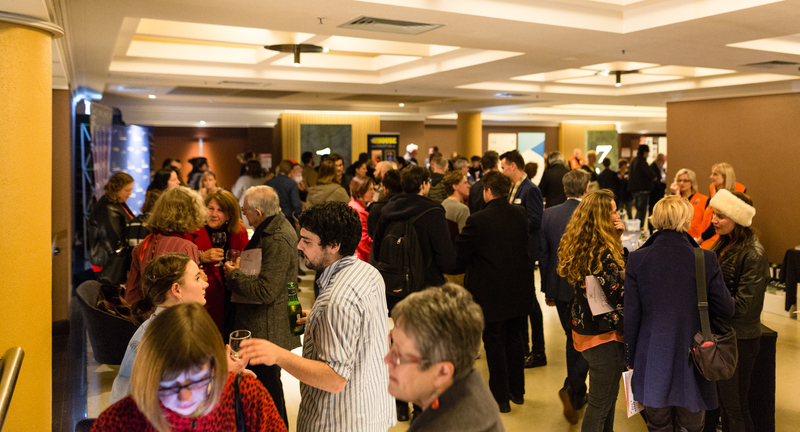 The ADL Film Fest FILM CLUB presents premiere and special screenings, combined with opportunities to meet filmmakers and likeminded film-lovers – the ultimate “festival-fix” several times a year. How do you get your tickets? Subscribe! Our subscribers are the first to know when Film Club screenings are announced, so to avoid disappointment, make sure you sign up to our mailing list. There are no upcoming Film Club screenings. Please sign up to our e-newsletter to be the first to hear information about upcoming screenings! 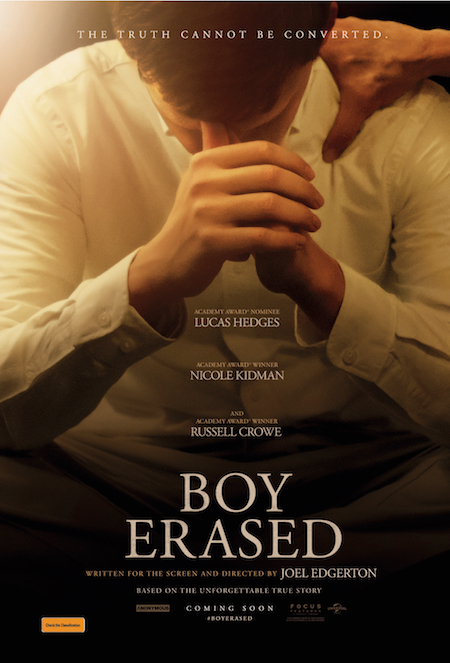 Academy Award® nominee Lucas Hedges (Manchester By the Sea) stars alongside Academy Award® winners Nicole Kidman (“Big Little Lies”, The Hours) and Russell Crowe (Gladiator, A Beautiful Mind) in Anonymous Content’s Boy Erased. Joel Edgerton (The Gift, Loving) directs, writes, produces and co-stars in the emotional coming-of-age and coming out drama about a young man’s journey to self-acceptance. Edgerton produces alongside Anonymous Content’s Kerry Kohansky-Roberts and Steve Golin, an Academy Award-winning producer of Best Picture Oscar winner Spotlight. Troye Sivan, Xavier Dolan, Cherry Jones, Michael “Flea” Balzary, Joe Alwyn, Emily Hinkler, Jesse LaTourette, David Joseph Craig, Théodore Pellerin, Madelyn Cline, and Britton Sear co-star. 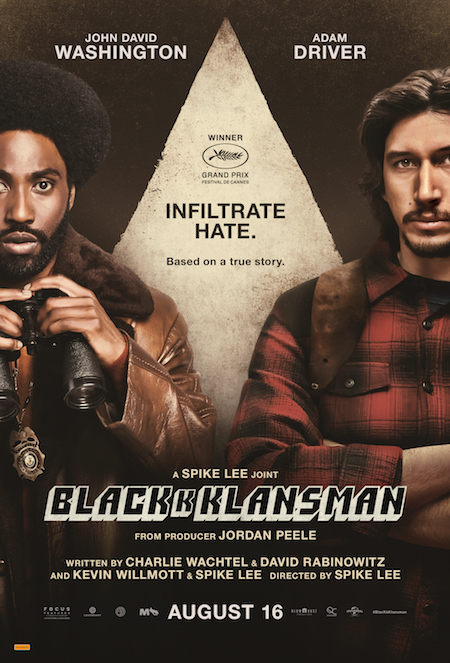 Fresh from its Cannes premiere, where it took home the Grand Prix, ADL Film Fest is proud to host the Adelaide premiere of the incredible true story of an American hero, from visionary filmmaker Spike Lee. It’s the early 1970’s, a time of great social upheaval as the struggle for civil rights rages on. Ron Stallworth (John David Washington) becomes the first African-American detective on the Colorado Springs Police Department, but his arrival is greeted with skepticism and open hostility by the department’s rank and file. Undaunted, Stallworth resolves to make a name for himself and a difference in his community. He bravely sets out on a dangerous mission: inflitrate and expose the Ku Klux Klan. 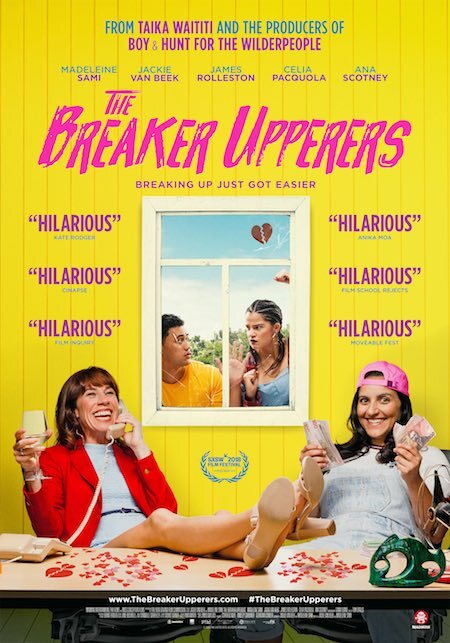 THE BREAKER UPPERERS is a laugh out loud comedy made by and starring two uproarious Kiwi ladies, featuring home-grown comedian Celia Pacquola and a cameo from NZ comedy legend Jemaine Clement. Fresh from its Sydney Film Festival premiere, we can’t wait to debut THE BREAKER UPPERERS to our Adelaide audience! Fifteen years ago, Mel (Madeleine Sami) and Jen (Jackie van Beek) discovered they were being two-timed by the same man. Bitter and cynical they became friends and formed The Breaker Upperers, a small-time business providing a break up service for couples. Now they’re in their late-thirties and business is booming. They’re a platonic, codependent couple who keep their cynicism alive by not getting emotionally involved with anybody else. But when they run into an old victim, Mel develops a conscience and their friendship is truly put to the test. 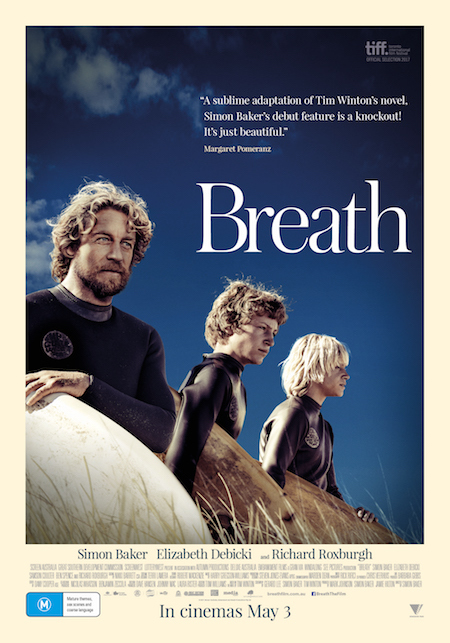 Based on Tim Winton’s award-winning novel of the same name, Simon Baker’s feature film directorial debut BREATH follows two teenage boys, Pikelet (Samson Coulter) and Loonie (Ben Spence), growing up in a remote corner of the Western Australian coast. Hungry for discovery, the pair form an unlikely friendship with Sando (Simon Baker), a mysterious older surfer and adventurer, who pushes the boys to take risks that will have a lasting and profound impact on their lives. In LADY BIRD Greta Gerwig reveals herself to be a bold new cinematic voice with her directorial debut, excavating both the humor and pathos in the turbulent bond between a mother and her teenage daughter. 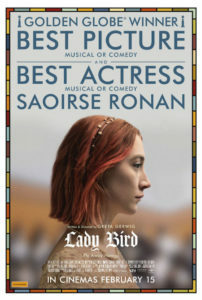 Christine “Lady Bird” McPherson (Saoirse Ronan) fights against but is exactly like her wildly loving, deeply opinionated and strong-willed mom (Laurie Metcalf), a nurse working tirelessly to keep her family afloat after Lady Bird’s father (Tracy Letts) loses his job. Set in Sacramento, California in 2002, amidst a rapidly shifting American economic landscape, LADY BIRD is an affecting look at the relationships that shape us, the beliefs that define us, and the unmatched beauty of a place called home.